Citric Acid, Natural Flavors, Silicon Dioxide, Acesulfame Potassium, Sucralose, Vegetable Stearate, Beta Carotene (For Color). This Product Is Produced In A Facility That Processes Milk And Soy Ingredients Do Not Use If You Are, Or May Become Pregnant. This product is intended to be consumed by healthy adults 18 years of age or older. Please consult with your physician if you are using any prescription or over the counter medication or if you have any pre-existing medical condition, including heart, liver, or kidney conditions. This product contains caffeine and is not to be used in combination with caffeine or any stimulants from other sources whatsoever, including but not limited to coffee, tea, soda, or other dietary supplements or medications. When people mention “Nitric Oxide”, this is really what they’re talking about. Arginine is a precursor for nitric oxide production and improves blood flow and nutrient delivery (such as creatine or amino acids) to muscles.You don’t really drink ‘nitric oxide’ drinks – you drink stuff with AAKG and the like, which helps you get more nitric oxide into the muscles. This is what gives that incredibly fun pump when taking Jack3d.”Arginine pumps” are not permanent, but AAKG does work and it does increase peak output power, meaning you will get a better bench press, even if its slight, due to the Arginine in Jack3d. Combine it with creatine, and things get even more interesting, because the nitric oxide will help drive the creatine into your muscles — good news! The arguments over creatine are over. It is safe, proven effective, and you can use it in the long-term. Anyone who tells you otherwise is wrong, and the studies in the link above show it. If you are not using creatine, you are not getting as good of results, both in strength as size, as you can. End of story. This ingredient is a no-brainer.We even recommend getting a bit extra creatine powder (2.5g more should do it for starters) either first thing in the morning, or immediately post-workout. Take it with 8oz of juice or simple sugars. The creatine in Jack3d is good, but not enough for most people. Another great, safe supplement. Beta alanine is an amino acid which is scientifically proven to reduce fatigue. Beta alanine increases the concentration of carnosine in muscles. This then decreases fatigue in athletes and increases total muscular work done.The reason is because carnosine buffers against fatigue and helps expel that painful ammonia from your body. If your muscles run out of carnosine, you get fatigued. Take beta alanine before working out, you will get more carnosine production, and you will increase your endurance (both while lifting or doing cardio activities). Countless studies show this both in the field and in the lab.There is a limit to how much beta alanine will really help, and some people also get a tingling feeling in their skin from beta alanine. This is one of the side effects, but it will not harm you. You should, by this time, be well aware of the benefits of working out with caffeine. This is the primary stimulant in Jack3d. If you’re not into caffeine or have never worked out with it, you’ve been missing out! Beginners should start with just 1/2 or 1 scoop of Jack3d to get acclimated.Caffeine increases focus, helps burn fat by heating your body up (it is “thermogenic”), and numerous studies have shown it as a performance enhancer. Our estimations are that there’s about 100mg of caffeine in each scoop of Jack3d. 1,3-Dimethylamylamine HCl is also known as Methylhexaneamine or DMAA. It is a naturally-occurring constituute of the geranium plant. This plant has long been in the food supply and has traditionally been used for a wide variety of purposes. This particular constitute is a stimulant that provides energy and focus to the user. This is one of the things that separates Jack3d from the rest, and makes Jack3d the best pre-workout drink out there.1,3-Dimethylamylamine HCl is safe in small doses. Never exceed recommended dosage and follow directions. Although there are no long-termstudies on its usage, it has a long history of safe use.We will stay on the lookout for more information on geranamine. Geranium has been safely used as an herbal supplement for centuries, though. This is a tough one. Schizandrol A comes from Schisandra chinensis, a plant that was commonly used in ancient Chinese medicine. Little is known on the human effects of Schizandrol A, but USPLabs likes to talk about the rat study showing counter-stress behaviors from Schizandrol A.The following studies show that it also has potential antioxidant, anti-inflammatory, anti-amnesiac, neuroprotective, and hepatoprotective effects for the liver, but a lot of these studies are rat studies and we do not know how much would be needed to get similar effects for humans. In the end, Jack3d has an active ingredient list that is quite impressive, safe if used properly, as anyone who uses it will testify. We believe that the secret ingredient that separates Jack3d from the rest is the 1,3-Dimethylamylamine, but we can’t be sure. Like what you see? Read and post Jack3d Reviews or Buy Jack3d Now! I am using this GNC Endure workout supplement that a friend gave em to try mostly for the glutamine but would it be ok to take endure before bed along with jack3d during my workout mid day? Definitely. This looks like a BCAA + glutamine product that would actually be best taken DURING workouts. We prefer USPLabs Modern BCAA for this purpose, but we’re not gonna complain about free stuff from a friend! BCAAs before bed is perfectly fine as well. You’ll wake up less sore the next day and your muscles will break down less over night. Doing some research for a mate of mine who is new to lifting. Can you tell me if it’s safe for a 16 year old boy who weighs roughly 60kg and is relatively new to lifting, to take only a half serving of jack3d before he works out? He isn’t on any other supplements at the moment and has a low caffeine diet. Sorry he’s 17, was his birthday was about 4 weeks ago. We’re getting a lot of questions like this, and the answer is going to be that you can do whatever you want to your body… we can’t stop you… but this isn’t suggested or recommended. At this age, your diets are probably not very finely-tuned, and it’s more important to focus on this. The free e-book that pops up when you enter this site will no doubt help you out. It’s more of a question of if that in your professional opinion, it’s safe for him to take? And if there’d be any major side effects? Is it safe to take jack 3d while on coumadin. Sorry, but you must speak to your doctor before combining ANY supplement with prescription medication. Seeing as though your medication is for those with heart issues… the answer is likely going to be a firm NO to anything with stimulants. Sorry. Hello, how important is it that I take Jack3d on an EMPTY stomach? Obviously we need proper nutrition (from diet) for a proper workout. Currently I eat a small to medium sized meal, wait 30 minutes for some digestion, then take my pre-workout from Dymatize. If possible, please recommend me with some planning/timing on when to eat and take Jack3d. Thank you! It’s personal preference. If dieting down, fasted training with BCAAs like Modern BCAA is awesome. But not everyone feels good from it. If bulking or maintaining, your plan is great. Perfect. Thanks for the recommendation because I currently am bulking! I am currently a national level track and field athlete looking to break through to the international stage, I am looking through your products and because of potential testing am finding the 1-3 Dimeth a problem since it is on the IAAF banned substance list. On top of proper diet and exercise do you have any fat burning supplements that do not contain 1-3 dimeth. Compound 20 worked very well for my sprints in the water. BUT — double-check EVERY ingredient. There are several natural ingredients that have been known to help with endurance (not sure if you’re a sprinter or distance athlete)… but you can check out things like rhodiola rosea, l-carnitine and it’s derivatives, BCAA, beta alanine, octacosanol, and a few others. For sprinters… consider a natural testosterone booster like Pink Magic or DAA – but note that you might be playing with fire there. Buyer beware, you’re on a higher stage and most supplement companies are NOT marketing to you. Jack3d has been shown in several studies to be safe when used according to the label. See http://www.jack3d.org/is-jack3d-safe to read some! What other stuff that can be mix with jack3d to get muscular. also how many time can you take that per a day? Food and protein. See the free diet book that comes on when you enter the site! It’s still available here, and USPLabs has no intention of stopping production. if i wanna take this i cant drink any energy drinks or any coffee ????? if this is taken early in the day is it safe 2 have a few drinks at night ? If you’re just having 1-1.5 scoop of Jack3d early in the morning, then an energy drink in the PM might be okay, but it depends on the size. In general, we can safely tolerate 6mg caffeine per kg of bodyweight. Do i have to take Jack3d even when i don’t go to the gym? Nope! It’s good to have off-days. It should not be used 7 days a week, even if you DID work out every day (not recommended either). I been taking jack3D for over 2 years. It’s the best pre workout supplement EVER! My question is will Jack3D be banned? I hope not. I don’t wanna take anything else. We have a whole page at http://www.jack3d.org/banned talking about this. It’s banned in Australia and Canada right now, but the FDA in America has laxed bigtime. Jack3d Micro is coming soon for the rest! Is any of these ingredients banned substances in the NCAA? I know in previous questions I see that it is 18+. I am currently 15, but I have the body of an adult. I asked my doctor and trainer what supplements they think I should take, as I am a powerlifter. They both recommended Chronomass or Jack3d. Will a Nutrition Junkie sell me Jack3d or will they not sell to those under 18? Thanks in advance. Looks like all the important questions have been asked and answered… Now what flavor is the best? Grape for me, but everyone else will have other responses! I was having great success with another product containing DMAA, but after reading many posts regarding false positives in company drug testing I wrote the company to ask about it and they said yes it was very possible and recommended a couple of other products instead, which I thought was pretty responsible of them however I did not have the same success with the recommended products. Is the DMAA in your product different from that of other manufacturers? You’re best to wait around until Jack3d Micro is ready, if you’re concerned. If you take it, definitely tell your employer. You are doing nothing illegal and it’s actually a work performance enhancer! Not adversely, but you’ll definitely “feel” it bigtime. If you want stimulant-free PUMPS, check out Yok3d at http://www.jack3d.org/yok3d. Compound 20 might also help! I’ve purchased Jack3d several months ago, but stopped working out after my shoulder surgery. Yesterday was my first day going back to the gym. When I went to use my powder, I notice it had hardened. Is the product still good and will give me the same results as before or do I need to file 84 this container and purchase another? It’ll still work perfectly fine. Seems like some moisture got into the tub. Shake it up, stir it up, and consider putting it in the fridge from now on so it doesn’t get worse. 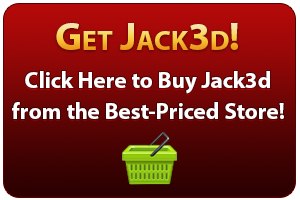 I have been using Jack3d since the first of the year to supplement my workouts. Through diet and exercise, and using Jack3d within dosing guidelines, I have seen extraordinary results. I am currently in a college level nutrition and physiology class, and in our module on supplements, I wrote about Jack3d. It was during this writing that I first heard about the controversy, and was surprised. After my successes, it was disturbing to hear some of the claims that are being made. Based on this, I decided to focus on Jack3d for my final research paper. As I am writing, five out of the six primary ingredients make sense. But, schizandrol – as you say – is a more difficult one. Based on the limited information available; why even include the compound? Was Jack3d tested without the inclusion of schizandrol? To be clear; I am not interested in proprietary information, I do not want access to recipes or such information. My question though is; why did the company decide to include a compound with so little real research data – and – what is the benefit of having included it? Does shaking Jack3d before use make a big difference in its performance? I just use the scooper to make sure there’s a good mix. How many mg of dmaa’s are in each serving? No clue – this is part of USPLabs’ proprietary formula. My guess is somewhere between 20-30mg… but I could be way off. I was a satisfied jack3d for many months, but decided to cycle off for a bit. In the meantime, I tried the new VPX product – Friction – and felt terrible (jittery, headaches, etc). I’m cleaning out my system right now, not taking anything. I’m about to cycle back onto Jack3d, but I want to make sure it has different ingredients than Friction. Thanks. What is the sugar and calories in this product? The first day I took 1 scoop of jack 3d I felt great with a lot of energy. The second day same thing but didnt feel a lot just for a few the third day I took 1 1/2 and I got lots of energy but light headed and it didn really last long what should I do. And sometime I feel constipated . Sounds like you need more water and more fresh greens. That’s the first complaint of constipation on this site in nearly 3 years. My husband uses Jacked but also takes alot of Ibuproben becasue of his work. What types of Ibuproben should he NOT be taking? Is advil ok, or should he use regualr ibuproben? In short, the FDA sent some letters to companies and scared the top distributor, and when USPLabs proved that Jack3d was safe, they started carrying it again. It’s still completely legal in the US. Yes, this is totally approved. Note that there’s some creatine in Jack3d, so you don’t need a full dose post-workout. or i will take it when i doing exercise..!! PRE! 30-45 minutes before workout! Is jack3d still in production? I just wanna know because if its not I’m going to have to stock up and buy like 40 containers of Jack3d. does jack 3d contain any type of ingredient which induces hormone change , i.e. testosterone booster or anything? No, not at all – if you want that, get Test Powder. More intense workouts do sometimes give you more “virility”, but no hormonal changes from the pre workout supplement itself. Not at all. No sugars, carbs, or calories whatsoever. Depending on your diet, you should get used to being on lower carb after a couple of weeks. Stay away from the grains, but don’t fear some yams / sweet potatoes post workout! And tons of greens! If I take Oxy Elite Pro for the recommended 8 weeks, can I take Jack 3D while I’m off the Oxy Elite Pro, or do I need to stay away from both products? It’s recommended to completely cycle off all stimulants during the off-period. The first week isn’t fun, but it’s necessary to get your adrenal levels back in check! Will Oxy Elite Pro mess with my metabolism, permanently? Meaning, if I don’t take it forever, will I be in worse shape than I am now? Thanks! No – your levels restore back to normal during your stim breaks. But if you start gaining fat after you come off, then your diet is not yet ready for long-term lifestyle. OEP provides a killer kick-start, but cannot be relied on! What about mixing Jack with a fat burner like Yohimbine. I’ve done this. A great one is Ethitech Yohimbine HCl – START WITH LOW DOSES and then work up. You’ll immediately know if Yohimbine isn’t for you. I don’t really feel it, but a small percentage of people get NASTY sides from it. If I step away from Jack3D temporarily to take OEP, can I combine OEP with Creatine? Meaning, will the two cancel each other out, or could I expect to build muscle with the Creatine while burning fat with the OEP? Thx! Yeah, that works, and sounds like a good plan. Just note that at some point you need to cycle off of ALL stimulants per the label!! two questions….my lips tingle during and after drinking it is that normal? and is it ok if my powder gets wet from my bottle and sits for hours? what i am trying to say is that I put my scoop in my designated jackd bottle and pack it up in my gym bag for my after work exercise. The powder gets mixed with a small amount of water then becomes like a syrup but mixes just fine when I add the correct amount of water to drink before working out later in the day. That’s from the beta alanine. This is a non-toxic side effect that is rather unexplained, but has something to do with activation of nerve endings. If you start feeling it, that means Jack3d is in your system and ready to go! As far as allergies, there’s very very few occurrences due to the “naturalness” of the ingredients. No fake colors, dyes, or fillers that often cause problems. You’ll just have to check the ingredients label. Sorry 3 questions…are there any allergy warnings? Is it safe to take 3 scoops of jack3d? I know that sounds stupid ahaha but my tolerance for certain supplements is pretty gnarly. I’m 18 and I know doctors recommend not to exceed 250mg of caffeine. I lift twice a day once at 7 am and the other at 7 pm. Been running 2 scoops twice a day for a week now. That’s already 400mg’s, is 600mg’s of caffeine a day ok if enough water throughout the day is drank? Was debating on buying milk thistle to help of the break down of chemicals post workout inside liver/kidneys. Hey – Good question actually. The label states not to take more than 3 scoops in a 24 hour time period. That’s the barometer – so back off the 2 scoops 2x/day – you’re likely way overdoing it. In terms of caffeine safety, it depends on your size and tolerance, but some of the studies show that you can handle a touch more than 250mg — http://72.14.177.9/caffeine/side-effects has some research. Milk thistle and NAC are great for the liver regardless. But still, you’re doing too much. I’d see what you can accomplish with a dash under 1.5 scoops per workout, and consider adding in Yok3d before the heavier workout if you want more pumps. PS – Nobody but USPLabs really knows how much caffeine is in there, and they won’t release that. It could actually be a bit over 100mg. Hi, sorry, but no, it is not. Creatine comes from animal meat sources, and arginine often does too. If you’re looking for pure vegan in a pre workout supplement, it will be difficult, and you might need to make one yourself out of a caffeine pill. It won’t be nearly as good as Jack3d though. How many mg of niacin is is jack3d?? None, actually. If you’re wondering about that flushed, tingling feeling, it’s really the beta alanine that’s discussed here. I have never taken a preworkout supplement before. this would be my first time. I am 4’10 and want to take this to get leaner, improve my endurace and push myself a little harder. Since I’m small should I take half the dossage recommended? Definitely. Start light, like half a scoop. You can always take more the next time if you don’t feel it. You’ll save money this way too! I am 17 years old and am currently using Jack3d as my pre workout supplement. (I turn 18 in march) do you think jack3d is safe for me to take and if not what would be the worst that could happen or what bad could it cause??? I have taken other pre workouts in the past…..
It’s recommended to take it at age 18 and up. When you’re ready, we’ll be ready for you! I’m seventeen, six foot three and 185 pounds. Would you consider it safe for me to take jack 3d? Sorry, Jack3d is for users 18+ only. At your size, it’s time to start eating big and training compound exercises hard!!! My husband took NO Explode for a good while as a pre-workout drink but he stopped taking it when he noticed some sexual issues (ED) that seemed to accompany taking it. He has since switched to Jack3D and things were fine at first but he seems to have this sporadically happening again. All issues with this have been nonexistent when he doesn’t take these types of drinks. My question is: “Do you know of any of the ingredients being potentially responsible for this?” Or has anyone else come to you with these types of issues? Your honest reply is much appreciated. We’re a young couple trying to conceive for a year now and I’m just concerned. We both have healthy life styles and both work out. We have no other known issues. Nearly all stimulants have a “vasoconstriction” effect that tightens the blood vessels. Over 99% of people are fine with it, especially since the nitric oxide boosters are vasodilators that typically HELP erections! The common stimulant ingredient in both of these products is caffeine, so it might not be good for him in this capacity. Have him cycle off of all stimulants and see how he does! Once done, you can try having him take some USPLabs Yok3d, which is a stim-free nitric oxide booster. It’s not MEANT to be used for erections, but that’s a “healthy side effect”. He might also like TEST Powder to boost testosterone levels — also stim-free. I have been taking jack3d for three weeks now. And i was wondering is one scoop good for my weight (275lb) or go up to 2 scoop. And can i take a testosterone booster with it.. I have a bottle of bpi a-hd. I don’t want to give it away.. If one scoop works, then use one scoop! If you need more, then move on up to 1.5 and then to 2. Just stick within the dosage guidelines listed on the bottle – never more than 3 scoops in a 24hr period. As far as test boosters go, you can definitely stack that together. USPLabs makes TEST Powder, which you can read about at http://www.TESTPowder.org for your next cycle, but there’s no reason to not use your A-HD while you have it! Ok… Thank you for the help. So i up my scoop from 1 to 2 and it feels like a there’s a fire inside (a good thing) and i can’t put it out… But now that i went up to 2 scoop, can i take two bottle. And how long can i stay on it plus how long do i stay off.????? Awesome Tede! The same cycling instructions remain – 8 weeks on, 4 weeks off. I suppose if you were just using half a scoop, then you could go longer than 8 weeks, but if anyone’s using 1-2 scoops @5+ days per week, then you’ll want the 8 on / 4 off. I am diabetic and go for workout at 8 PM. Can I take Jack3d before workout. What is suggested dose. None – you should speak to your doctor first, since you have a known medical condition. Follow the label please!